I now have fun at work - would you believe! What started out as a hobby turned into an on-line business. All I really dreamed of was to share what I knew about the power of the mind and to enjoy myself even while being at work. Things truly have changed! Now I even work from home! In 2011 I started this Web Site. By 2013 I had learned so much and had so much success with this small hobby-website, that I had enough courage to start a mainstream on-line business. I was tossing and turning in my mind, what I could write about. What did I know a lot about? And slowly the idea for an on-line travel & regional guide for Gran Canaria started to take shape, after living on this island paradise for more than 20 years. In 2014 I started building a business guide on the sideline, ideas emerging and turning them slowly into reality. Then in 2015 I could dedicate myself full-time to website building. Having Fun At Work - On Mondays! I now love Mondays! Finally the kids are in school and I have quiet time to spend working on this Web Site. All this happened because I found SBI! and their approach to online business. 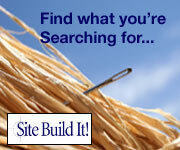 This is without a doubt the best webpage building platform there is to build a Web Site with. I truly believe this! Not only because it provides the best site building tools, but because it explains in a understandable way how to use them. And I have tried out a few. By the way, check out What SBI can offer you. I knew nothing about websites when I needed to build one in 2010. I tried different platforms, first a couple of free ones which did not really give me the results I wanted. I was so unhappy with the platform. I spent 70 $ for this 10 page site. It was soooo complicated and clunky! The quick explanations made no sense to me and the few tools it had I had to figure out through trial and error - mostly error. When I launched the page, it did not look the way I wanted it to. The letter fonts and gaps on the page did not match. The pictures did not fit properly. After weeks and hours of hard work I got those 8 or 9 pages built and published. And I never ever was proud of it. If anyone asked if I had a webpage I mumbled the web address to them. The bit I knew, I had learned from websites such as Christopher Heng's The Site Wizard. He does know his subject and he is keen to help. On his recommendation I even downloaded the Adobe Dreamveawer trial version and was close to spending a little fortune on the whole web design program. Within this free one month tutorial I learned how to design the tutorial's test website with CSS and basic HTML. But once the month was over I realized, this bite was too big! I had no time to become a full time web designer. And I did not want to pay for one either - I could not afford it! All this I am telling you above took me a whole year, with hours of investigation and study, trial & errors and a lot of temper tantrums. One night while surfing the net, I finally came across SiteSell and SBI!. First I was rather sceptical about all the SBI Success Stories. They all seemed to have so much fun at work, loving what they did and made a living with it. Well, well, let's see - I thought. I bought my membership in May 2011, and launched my website in November 2011 and never looked back. Everything SBI! ever promised it held it in every respect. And gave me a ton of web tools and wisdom on top. Still can't call myself a web-master in the traditional sense. But I have learned how to write and what to say to make articles interesting. I learned to analyse and use keywords so my site lands amongst the top search engines results. Eventually I realized that I slowly became an expert on SEO - Search Engine Optimization - without even knowing that the word SEO existed. In 2015 I moved TheRGuide.com to wordpress.org. That was another steep learning and another hundreds of hours of planning, trying, writing, learning, errors, fixing, etc - but I have arrived. I write about the things I love to write about, anyway - but now my website has become an on-line business. Fun at work for me means to see different places every day, be the master of my time, and provide an additional income while still having enough time to look after my family. To build an on-line business takes time. A lot of learning, a lot of alone time, with an immense amount of time spent looking at a screen is the norm. So if that sounds like fun at work for you, then give it a try. love to work from home? I did and it works for me.